The maritime horror that has become a centerpiece of the Cuban experience will continue even after President Obama’s overtures to the communist regime, it appears. According to witnesses aboard, the Cuban government sank a boat attempting to reach American shores carrying 32 people, including an 8-year-old child, and some passengers remain missing. The Herald notes that family of Castellano’s husband, Leosbel Díaz Beoto, are continuing their search to find him. An uncle contacted the U.S. Coast Guard, but was told merely that the incident occurred in Cuba and outside their jurisdiction. In her interview, Castellano described the captain of the boat as being “from Miami,” though he has yet to be identified or accounted for. Should he be a U.S. citizen, there is potential for tension amid newly amicable relations between the White House and Havana. Ramón Saúl Sánchez, the head of the Democracy Movement and organizer of communications with Castellano to reveal this story, noted also that the incident is believed to have happened 22 miles from Cuba’s northern shore, as the group had departed from the town of Matanzas. “[It is one issue] to create such a savage act, a state against civilians, women and children,” he noted, “but another point is that, if they were located 22 miles from Cuba when the incident occurred, they acted within international jurisdiction.” Thus, the act of aggression could have violated international law. The men were put into one cell and left there. The women and children were put it another cell, where they were interrogated. Early that evening the women and children were sent home and the men were taken to Villa Marista, Havana‟s State Security headquarters. Some were kept in detention several weeks and released to domiciliary detention. Two were kept for eight months. They were all given psychotropic drugs, visited by psychologists, and subjected to interrogations at all hours with the purpose of making them relay the story as an accident. 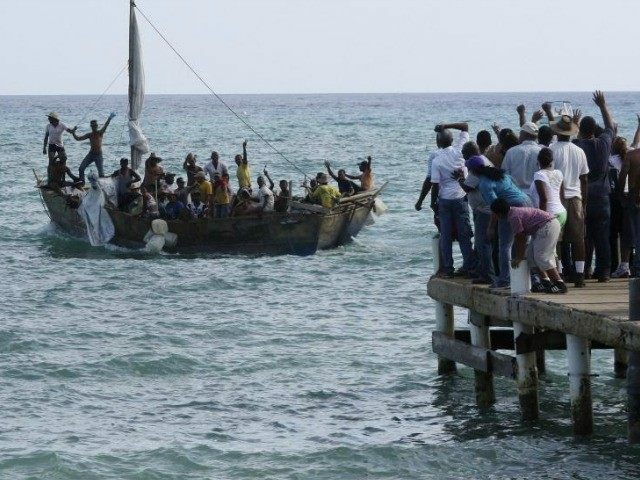 The Cuban communist regime has given no indication that it will change its policy regarding refugees in the wake of President Obama’s concessions to the Castro government.